Aquamarine, the birthstone of March, is a beautiful gemstone that comes in gorgeous shades of blue. From a pale pastel to a greenish or deep blue, this jewel is known for its vivid appearance and for the pop of color it provides. Learn everything that you’ve ever wanted to know about aquamarine and more regarding the characteristics of this birthstone, how it’s used in jewelry, and its variety of meanings. Aquamarine is made up of the mineral beryl, composed of beryllium aluminum silicate. While emerald and heliodor are other varieties of gem beryl, aquamarine is the most common stone derived from it. Aquamarine gets its name from an old Latin expression meaning “seawater”. 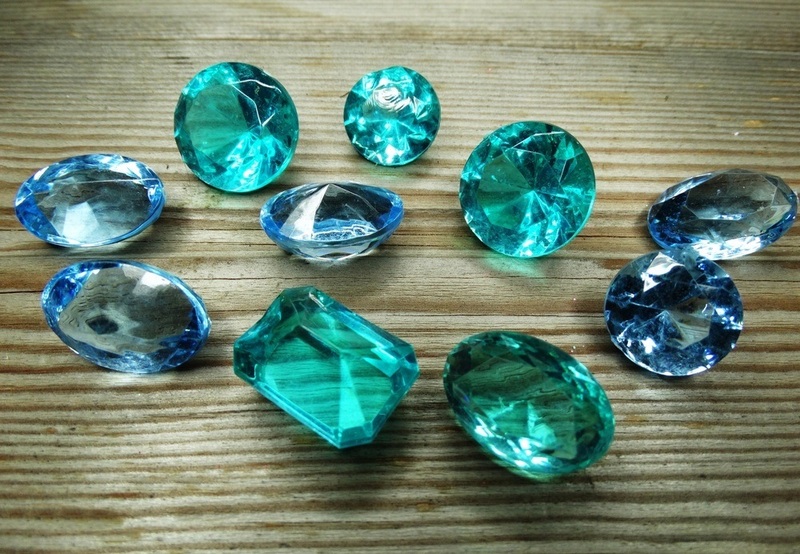 Back in the 19th century, the more green varieties of this stone proved to be the most popular, but in present day, the more blue the stone is, the more valuable it is. The largest aquamarine ever unearthed was 243 pounds, found in Brazil in 1910. After it’s discovery, it was cut into smaller stones, yielding a whopping 200,000 carats. This gem is an exceptionally hard stone that boasts a glass-like luster. Aquamarine gets its color from iron impurities within colorless beryl and it is known to possess excellent transparency and clarity, making it a highly desirable stone. The most common cut of aquamarine gems is an emerald cut, followed by oval and pear shaped cuts. This stone is easy to cut, and because of that, it can be made into innovative shapes as it’s easy for jewelers to experiment with. This gem is commonly used in a variety of jewelry pieces, such as rings, bracelets, earrings, and pendants. The beauty of this stone is that its stunning blues pair well with a range of metals: gold, rose gold, and white gold. Aquamarine also looks beautiful paired with diamonds – as most gemstones do. Caring for a piece of jewelry that features an aquamarine stone is quite easy, although there are several tips and tricks to preserve the stone’s beauty. Jewelry containing aquamarine should be stored in a dark place, as extended exposure to the sun can cause the stone to pale in color. The stone should be cleaned regularly with warm soapy water using a soft bristle brush to keep it sparkly and lustrous. As aquamarine is the birthstone of March, it holds special meanings that are not to be ignored. True to its vibrant blue color, this stone harnesses the soothing spirit of the ocean and healing powers of the water, which gives life to the earth. Known for helping humans reconnect with water, this stone is regarded throughout folklore as the treasure of mermaids. Historically, sailors and seafarers used aquamarine stones as a protective talisman for good luck and to instill a sense of fearlessness in the face of an epic journey. This stone is also known for calming frayed nerves as it channels the soothing qualities of the waves of the sea. 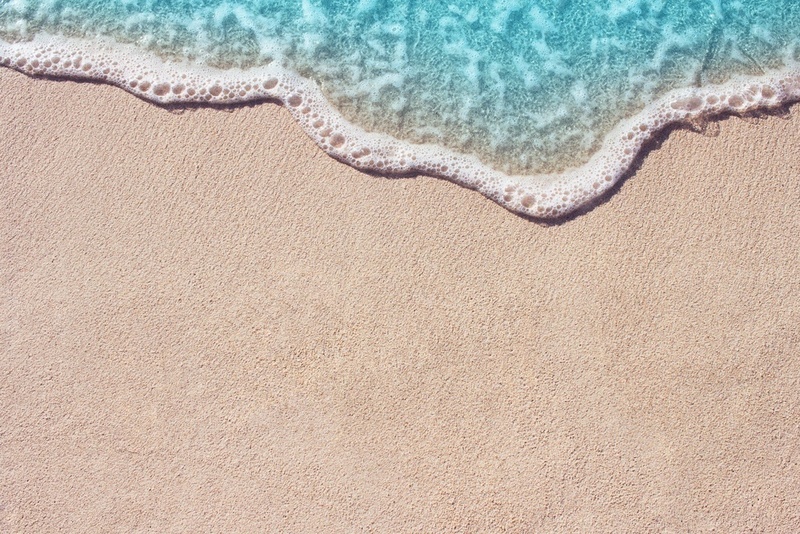 Aquamarine’s connection to the sea gives it cleansing properties that align with our bodies, believed to help keep its wearers balanced, as the human body is made up of 70 percent water. This balance is believed to remove emotional toxicity and to encourage feelings of internal peace. Because of its colorful nature, aquamarine is also known to instill the vibrancy and beauty of youth to whoever wears it with its anti-aging properties. Aquamarine is a versatile stone that is undoubtedly beautiful, both in its aesthetic and in the special meanings it represents. Although aquamarine is the birthstone of March, it’s worn widely across the population due to its gorgeous nature and ability to match virtually every color and style. This is a gem that’s stood the test of time, and it’s easy to see why it’s still highly coveted: for its beauty, healing properties, and significant meanings alike.